The Baja Bulgaria is the new and final round of the Bajas FIM Europe Championship 2016 (motorbike, quad and UTV-side by side). The event will take place in the most beautiful ski resort of Borovets, only 60km from Sofia Airport, from Friday 23rd to Sunday 25th of September. There will be time until the 10th of September to register with the appropriate entry form, after the participation fees are 50% more. We are ready to welcome competitors from all over Europe!! Here are the official results of the third round of the Bajas FIM Europe Championship (motorbike, quad and UTV-side by side) that took place in the town of Veszprem in the northwest of Hungary near Lake Balaton, from Friday 12 on Sunday, August 14, 2016. 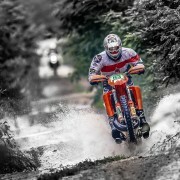 Baja TT Idanha-a-Nova: entries are now open for the fourth round of the FIM Bajas Europe 2016. 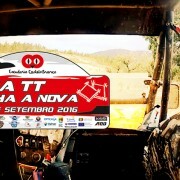 The Baja TT Idanha-a-Nova 2016 will be the fourth round of the Bajas FIM Europe Championship (motorbike, quad and UTV-side by side). The location for the latest edition of the international event is Castelo Branco, (230 km from Lisbon), and will take place Friday 9 – Saturday 10 September 2016. 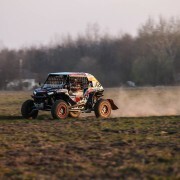 Hungarian Baja 16: countdown to the third round of the FIM Bajas Europe. 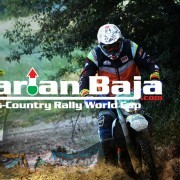 Hungarian Baja: 3° round of Bajas FIM Europe Championship. 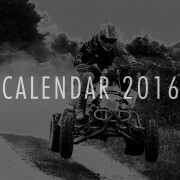 The Hungarian Baja 2016 will be the third round of the Bajas FIM Europe Championship (motorbike, quad and UTV-side by side). The international event has confirmed its location for the last edition in Veszprem, in the north-west of Hungary near Balaton lake, and will take place between Friday 12 and Sunday 14 of August. A total distance of 675 Km and 522,00 Km of selective stages surrounded by a spectacular landscape. The organizers are preparing for the next classic Pordenone race open to licensed motorcycle, quad and UTV pilots. We are getting ready to welcome competitors from all over Europe!! 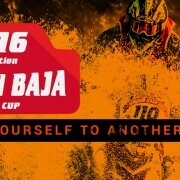 The Baja Duna Aszfalt Cup Bugac is the opening round of the FIM Europe Bajas Championship 2016 (bike, quad and UTV). The Hungarian event, which for the first time takes part at the FIM Europe circuit, will have his head quarter in the town of Kecskemét in the middle of Hungary, 80 km south of Budapest, and will take place between Friday 18 and Sunday 20 of March. 400 Km of total distance, 326 Km selective stages, all in a spectacular landscape. There will be time until 17 of March to register with the appropriate entry form that you will download on www.garzoneracing.com. We are getting ready to welcome competitors from all over Europe!! !